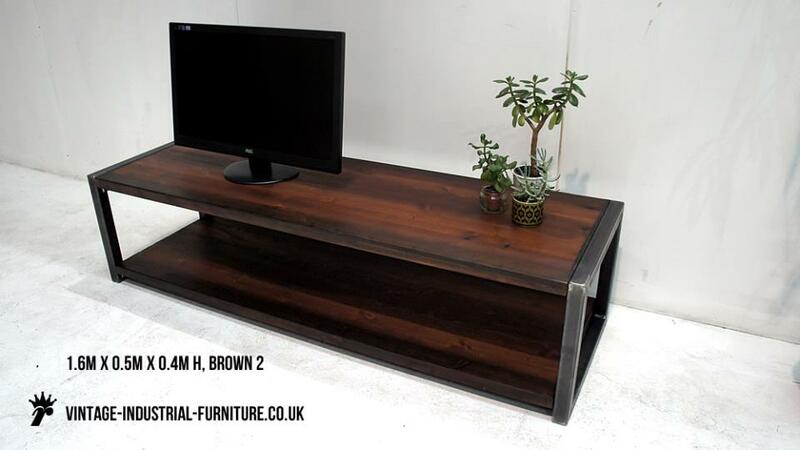 A vintage industrial TV unit with thick wooden shelves and steel tubular ends. There is plenty room on the top shelf for the majority of flat screen televisions. 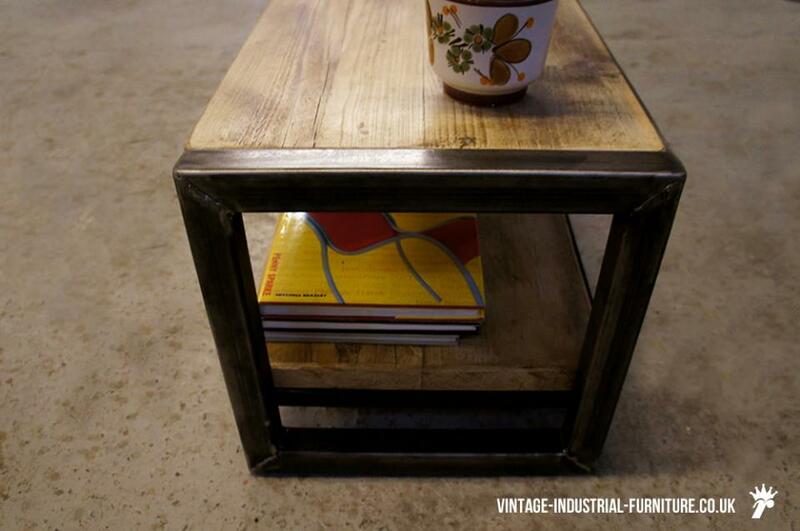 The shelves are suspended between 2 robust welded tubular steel end frames. These ends are also connected with metal cross pieces for additional rigidity. 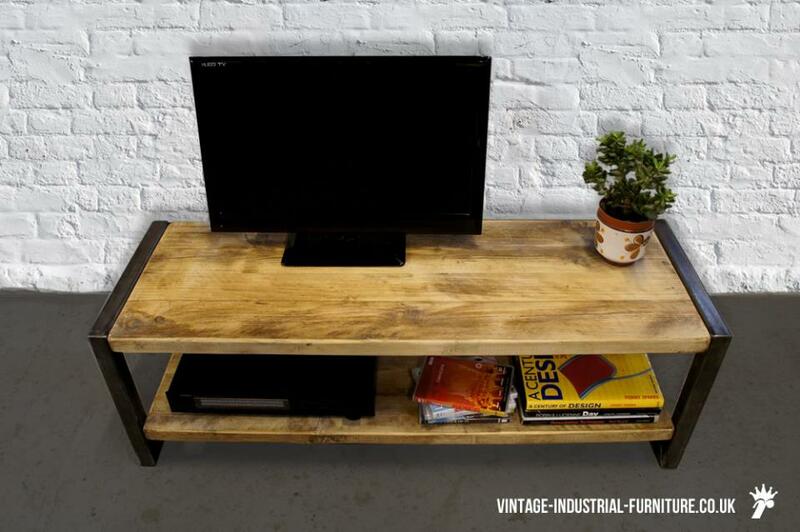 This vintage industrial TV unit also has a matching lower shelf for your satellite box or recorder. There is also ample room for a few favourite DVDs. 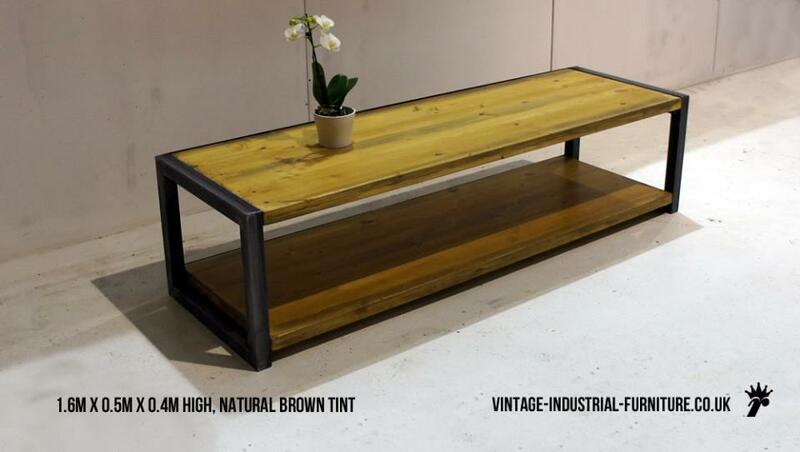 NBT = light brown, "natural brown tint"
Vintage industrial storage solutions can give your home an individual touch. 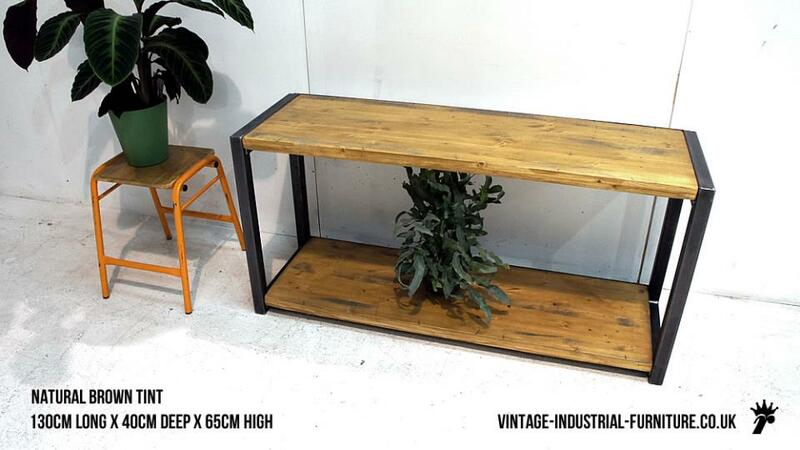 Vintage industrial storage can also suit commercial office environments.